Before I start resuming regular blog posts (more to come shortly, I promise! ), I just wanted to share a little something! 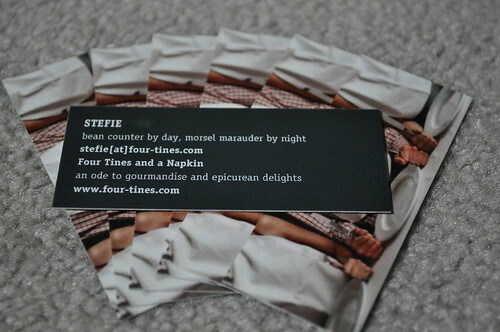 The MOO MiniCards (aka miniature business cards) I ordered for Four Tines and a Napkin arrived this weekend! 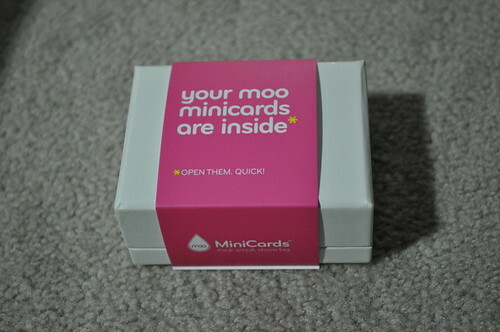 Here's the one box of MOO MiniCards that I ordered. Such cute packaging! 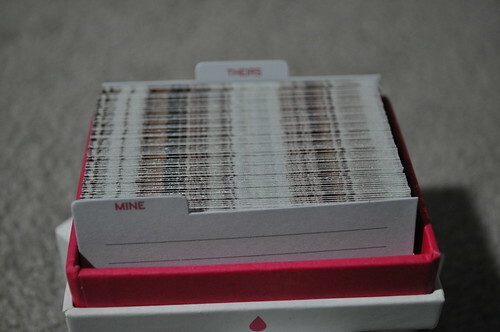 Inside the box is a mini "filing cabinet" for my MiniCards ("MINE") and others I receive ("THEIRS"). Four Tines and a Napkin signature image on one side (haha, look familiar?)! Here's the very important information that reads on the backside. They came out really nicely--very professional looking, if I do say so myself ;] I can't wait to start handing these out to promote the blog! 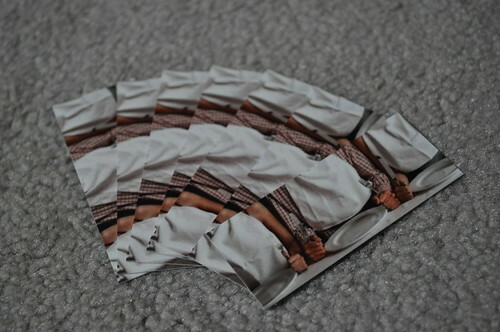 I highly recommend using MOO.com for all of your postcard/business card/mini business card/greeting card needs. It's very affordable (see price point below) and easy to do! They have pre-made designs to choose from for those who just want an easy template to work with. They also have the ability to let you customize your desired print-item by letting you add your own image/logo! They have many template settings for text as well! Do itttt! :D I promise you won't regret it! Plus, we can swap cards! !